I have a somewhat sentimental attachment to lilacs – when I was growing up, I remember picking up great bunches of the beautiful fragrant lilac blooms to commemorate May 1st – the date Russian army officially freed Czechoslovakia from German occupation, ending World War 2. 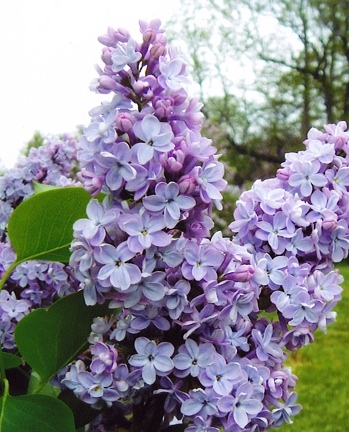 But that is a long, long time ago – and this year, after working on my spring gardening checklist, I was thinking that I should add lilac to my garden. 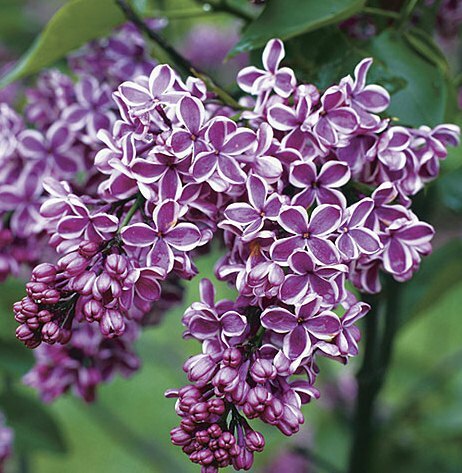 Doing my research, I discovered that there are quite a few varieties of lilacs and choosing which one to plant may not be the easiest thing. 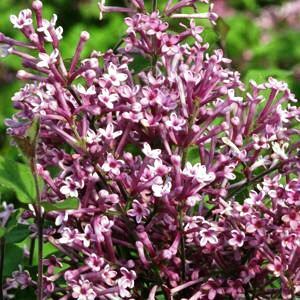 But since I like planting shrubs and perennials that make gardening easy, lilac does seem like a logical addition. I am sharing my discoveries – and once I make my decision, I will update all of you. 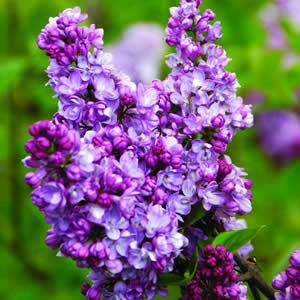 Lilacs bloom the best in a full sun and thrive in cold climates. In fact, without the winter chills, many of them refuse to bloom. In fall, large buds become evident as leaves drop, hinting at the upcoming spring show of blooms. If you need to prune your lilac, delay the trimming until after bloom so that you don’t remove these blossoms-to-be. To prune: snip spent blooms immediately after the blooming time. 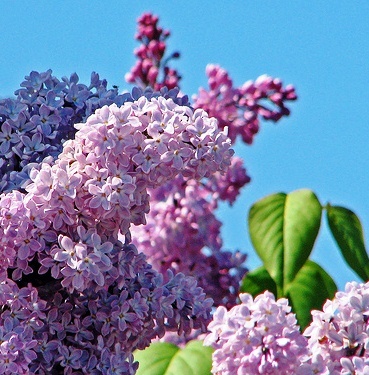 This is the time to do pruning – to shape your lilac the way you want it to look. 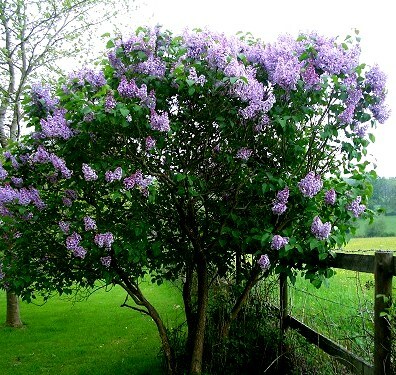 You can rejuvenate old, weak lilac shrub by trimming out weak, dead and overly large branches. Make cuts near ground level. Young, vigorous shoots will take their places. If you find a powdery mildew – which is the most common disease of lilacs, it may indicate poor air circulation or a lack of sun. To prevent this, make sure you plant your lilacs in a full sun. 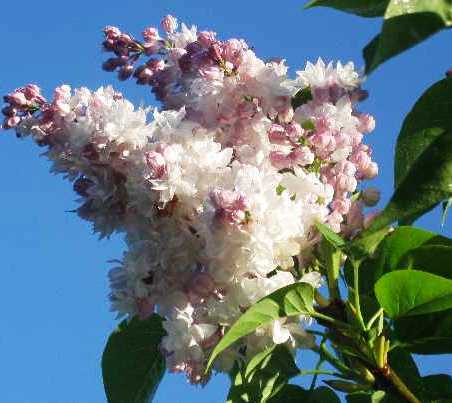 The most common lilac is Syringa Vulgaris – vigorous, easy to grow shrub that often reaches the height of 10 feet. It does spread a bit so if you are thinking about filling a smaller space, this may not be the one to use. Beauty of Moscow – great variety if you are planning to use in bouquets. Multiple flower spikes on one stem make it a perfect variety to use for including in your home decor. Without a doubt, lilacs will bring both beauty and fragrance to spring garden. So far – the boomerang lilac is on top of my list. Mainly because it is listed as smaller variety (and my garden is starting to run out of space to plant anything large in it) but also because it is to blooms more than once. Next step – visiting a few garden centres and taking a look at what there is available on the market.I will either make my decision very shortly or plan to add lilac in the fall – there is nothing wrong with fall planting and I believe it would reward me with those beautiful , fragrant blooms next spring! Hope you have enjoyed this information and as always, I welcome your comments and suggestions!